Please join us to celebrate Bill Sorro's life and contributions to so many of our people's movements! He was a Balboa High School graduate and a proud parent of children that attended Horace Mann Middle School, Burton High School, City College and SF State. Bill was a master teacher - he taught us how to believe in ourselves, to speak from our hearts, to speak truth to power, to fight for what is right, to love ourselves, our families, and our communities. Bill used to love to say with his scratchy but warm voice, POWER TO THE PEOPLE! I am so grateful that I was able to spend time with Bill [and his family] to learn from him about struggle [MAKIBAKA!] and how to make a better world for everyone. Though he has passed on, the beautiful spirit of Bill Sorro will always live on in our people's movements. "Labor and community activist Bill Sorro passed away on August 27 after a long fight against cancer. A native San Franciscan, father of 7, grandfather of 13, Bill tirelessly dedicated his life as an activist for social and economic justice. His passion, humor andhumility inspired people of all ages, ethnicities and sectors of the community. Bill made history by believing in and nurturing the leadership of others, by supporting the wisdom and creativity of everyday people. He believed power truly existed in the people themselves; they need not look outwards for salvation, only into the mirror. Bill made society’s most discarded people-the elderly, the homeless, the immigrant, queer and transgendered people, individuals with substance abuse issues, youth of color-count and believe in themselves. " Donations in memory of Bill Sorro will be given to the causes close to his heart-affordable housing groups, Manilatown Center, youth organizations, United Playaz, etc. Checks (in lue of flowers) in Bill's memory to: St. John's-Bill Sorro Mail to:St. John the Evangelist Church1661 15th StreetSan Francisco, CA. 94103 Contributions will be distributed equally among the following: Affordable housing groups, youth groups and the Manilatown Heritage Foundation. Incredible photos by Felix of the Revolutionary Worker which capture the militancy of students from Berkeley High School and San Francisco schools yesterday who joined the more than 60,000 in Jena, Louisiana and hundreds of thousands around the country to demand justice for the Jena 6. See the Teachers for Social Justice, NYCORE, and T4SJ Chicago lesson plans for teachers and students on the Jena 6 and the struggle for racial justice in the US. See/hear/view also the independent media coverage at Indybay.org and Democracy Now. Over 20,000 people from across the country gathered in Jena, Louisiana on Thursday, September 20th, from across the country to protest the pending charges against six African American high school students (Protest Details). The six students were charged with felonies after a fight that started after nooses were hung outside their high school. Protests were also held in cities across the United States. At UC Berkeley, over 1,000 protesters gathered in Sproul Plaza at 12pm. In San Francisco, over 200 people rallied at Powell and Market. Last week the Louisiana Third Circuit Court of Appeals threw out the conviction of 17 year old Mychal Bell. The court ruled that he should not have been tried as an adult. Bell was supposed to have been sentenced for attempted second-degree battery this Thursday. Mychal Bell and five other students were arrested for beating a white student during a schoolyard fight last year. The fight occurred after white students hung three nooses on a tree in the schoolyard. Bell has been jailed since January unable to meet his $90,000 bond. As of this morning he remains in prison waiting for his new bond to be posted. The District Attorney plans to appeal Bell's overturned conviction at the Louisiana Supreme Court. Felix's photos from UC Berkeley and San Francisco protests. Teachers Support Justice for the Jena 6 - Six young black men are headed for 20+ year prison sentences in a clear case of Jim Crow "justice"
Thursday 9/20 is a national day of action in solidarity with the Jena 6 in Louisiana. According to http://www.colorofchange.org/, the lives of six young black men are being ruined by Jim Crow justice in Jena, Louisiana. The District Attorney has refused to protect the rights of Jena's Black population and has turned the police and courts into instruments of intimidation and oppression. 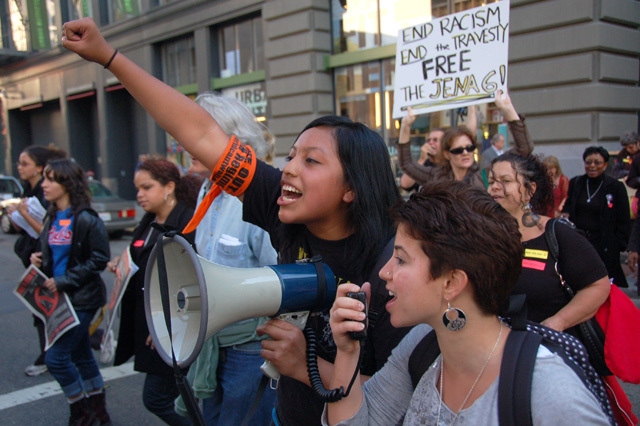 SF's Teachers for Social Justice has joined the New York Collective of Radical Educators (NYCoRE) and Teachers for Social Justice in Chicago (TSJ) in a joint project to support the Jena 6 - REVEALING RACIST ROOTS - Jena 6 Resource Guide for Educators. NYC and Chicago put a lot of work into this. Please use the materials and help FREE THE JENA Six! FRIENDS OF JUSTICE provides information about local activism, provides updates, and suggests possible actions. This ZMAG report documents some of the initial grassroots work performed by the Jena community, showing a history of activism in small towns that connects students to other social movements. 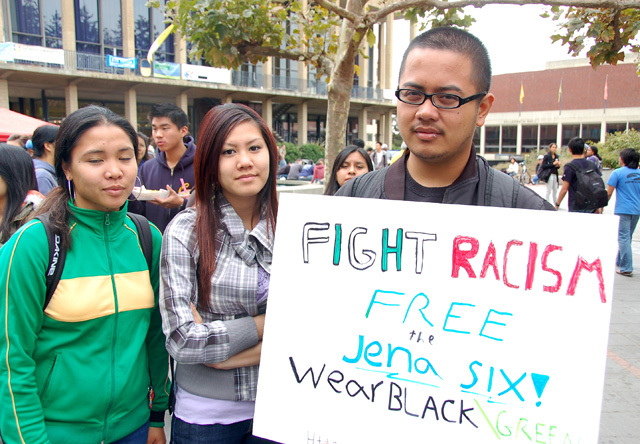 THE SOUTHERN POVERTY LAW CENTER has joined to struggle to free the Jena 6, as this article describes. NOLA.COM provides a description of how other communities, in this case New Orleans, are responding to the situation in Jena. This report can give educators and students a look into ways they might be able to do similar consciousness raising work in their own communities. Environmental racism and health inequality for the lowest income communities of color in San Francisco are clear structural barriers to educational equality in our school district. The largely African American Hunters Point community in the Southeast region of San Francisco has been organizing for almost a year now to stop the 'ethnic cleansing' of SF's Black community there. Over the past decade big business developers and city politicians have gradually 'pushed out' African American families from Bay View Hunters Point and other Southeast areas of the City. But the most dramatic displacement is going on right now with Lennar Corporation's Hunters Point Shipyard development that is threatening the neighborhood with some 1500-1600 new condos. The School Board has been working with neighborhood and environmental justice groups, parents, students and social justice organizations to halt the Lennar Development until a thorough independent health study can be conducted to ensure the health of the community's children and families. Anticipatory Action: There is a duty to take anticipatory action to prevent harm. Government, business, and community groups, as well as the general public, share this responsibility. Right to Know: The community has a right to know complete and accurate information on potential human health and environmental impacts associated with the selection of products, services, operations or plans. The burden to supply this information lies with the proponent, not with the general public. Alternatives Assessment: An obligation exists to examine a full range of alternatives and select the alternative with the least potential impact on human health and the environment including the alternative of doing nothing. Full Cost Accounting: When evaluating potential alternatives, there is a duty to consider all the reasonably foreseeable costs, including raw materials, manufacturing, transportation, use, cleanup, eventual disposal, and health costs even if such costs are not reflected in the initial price. Short-and long-term benefits and time thresholds should be considered when making decisions. BE IT FURTHER RESOLVED: That the Board directs the Superintendent to coordinate with City officials to ensure the health of our students and their families in the affected area and report back to the full Board with an environmental safety action plan and timelines to ensure the safety of our students and their families no later than the Board’s October 23rd meeting. For the past few months I have been working with a number of small business owners, and anti-chain store activists in trying to stop the STARBUCKs multinational corporation from opening their 81st store in SF in our neighborhood, the Inner Richmond District. And last night our work paid off when we successfully urged the SF Board of Supervisors to reject the STARBUCKS in our community. Previously activists like Tess Manalo Ventresca in the Sunset District and other activists in the Hayes Valley and Japantown Districts had kept the chain out of their areas. But we were unsure when some of us first learned of the STARBUCKS proposal in July that we could build the momentum we needed to keep STARBUCKS out. Thank you so much to everyone who wrote, called, rallied and spoke out at the 9/11 Board of Supervisors meeting to stop the Starbucks in the Inner Richmond District. Starbucks' effort to flood San Francisco with coffee shops ground to a halt Tuesday when the Board of Supervisors blocked a new outlet in the Richmond District under chain store regulations passed by voters last fall. The board voted 9-1 to overturn the Planning Commission's June approval of a Starbucks at the corner of Geary Boulevard and Fifth Avenue, killing the proposal. Jesse Fink, who has owned a nearby cafe for 25 years, filed the appeal on behalf of the Clement Street Merchants Association, which represents approximately 30 merchants in the area. "I don't want San Francisco to lose its character and become a city of strip malls. ... That's what Starbucks is all about," Fink said in a hearing before the board. Kudos especially to organizer extraodinaire Bryan McKeon, Toy Boat's Jesse Fink and his family, and Meg Lynch of Velo Rogue Cafe and the many richmond district small business folks that supported and built this campaign from 2 people to over 4700 united voices in a few weeks. Thanks also to David Tornheim, Dean Preston - Local-Imact.org, Eric Brooks - Our-city.org, Kathryn Roberts, and planning commissioner Christina Olague and others that provided key strategic advice. And Sue Hestor and Steve Williams for their legal advice as well. Most of us were worried going into the 9/11 hearing, but by the time the Supervisors were deliberating we knew we had won. My 7 year old daughter Jade joined in the celebration last night too, not only because she thought there might be free ice cream from Toy Boat. I told her 'this is what democracy looks like' - and it's better than ice cream. Duane Campbell has an awesome blog if you are interested in what is happening to education from the CA state legislature point of view. Check out his commentary following his posting of the Sac Bee article about new teachers. The details for the 9/29 Bill Sorro 'Celebration' are listed below. Unfortunately I will be in Atlanta @ a Civil Rights Movement 40th Anniversary event. But hundreds are expected to celebrate Bill's life and the movements he helped build. He was a Horace Mann Middle School parent as well years ago and the school, in the heart of the Mission District, is a regular spot for economic and social justice summits and gatherings in our communities. "...Bill wanted a celebration/ party as opposed to a memorial." Horace Mann School, 3351 – 23rd St @ Bartlett, San Francisco, CA. Available in the school's parking lot off Barlett Street. But the school is just a couple of blocks from the 24th St. BART station. More Tributes to Bill Sorro and his legacy in building the "other San Francisco"
Photo of MAC founder Eric Quezada, a community leader and organizer running for District 9 Supervisor - SF Nov. 08 . We at CPE honor and celebrate the life of Bill Sorro, a comrade that will truly be missed. San Francisco has lost a precious treasure. Not the San Francisco of downtown business interests, or of the dot-com craze, or of the waves of "young urban professionals" moving into the city's overpriced live-work lofts or condominiums. No, we're talking of the San Francisco struggling, on a day-to-day basis, to maintain its very existence: of Pilipino families and elderly in South of Market, of African American residents in the Fillmore, of tenants in SRO hotels, and of immigrant Latina/o workers in the Mission. In the early morning hours of Monday, August 27th, this San Francisco lost veteran activist Bill Sorro. Bill passionately fought for this "other" San Francisco. Born in 1939, Bill Sorro grew up in San Francisco's working class and predominantly African American Fillmore District, long before working class folk were pushed out by Justin Herman's notorious redevelopment schemes. Coming from a family that suffered as a result of anti-miscegenation laws [his Pilipino father was arrested and jailed for marrying a white woman], Bill consistently sought to connect the struggle against class exploitation to that of racial oppression. Nowadays people in progressive circles often discuss ways to decrease ones footprint in the world; it can truthfully be said, however, that Bill Sorro left a tremendous footprint in peoples' lives and in their collective struggles. Recently, he became an inspirational anchor for a growing housing justice movement in San Francisco, from the Mission Anti-displacement Coalition to the South of Market Community Action Network (SOMCAN). 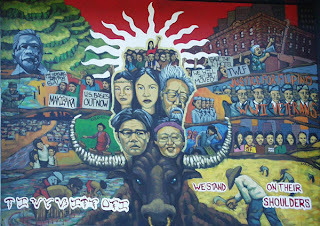 Compañero Bill, however, leaves a much deeper and longer legacy: most obviously, for Pilipinos (as a leader of the famed International Hotel struggle, as a member of the Kalayaan Collective and, later, of KDP-the Union of Democratic Pilipinos, as a founder of the Manilatown Heritage Foundation, and as mentor for countless Pilipino youth), but equally for communities of color in general, for the working class in particular (as a long-time union activist and committed socialist), and ultimately for all that suffer and struggle against the indignities of oppression and exploitation ... whether it be here in the belly of the beast or across the globe. Standing in solidarity with anyone fighting for justice, Bill embodied the often-quoted, but rarely lived, notion that the essence of any true revolutionary is a profound love for the people! And, man, Bill loved the people! Right on, brother! All Power to the People! He stands in that long tradition of individuals like Philip Vera Cruz, Paul Robeson, Dolores Huerta, and many others who made enormous contributions to history. But Bill made history by believing in and nurturing the leadership of others, by supporting the insights and wisdom, the creativity and resourcefulness of everyday people. He believed power truly existed in the people themselves; they need not look outwards for salvation, only into the mirror. Bill made societies most discarded people-the elderly, the homeless, the immigrant, queer and transgendered people, individuals with substance abuse issues, youth of color-count and believe in themselves. Bill leaves behind a tight knit family-his wife Giuliana, who he met on the 2nd Venceremos Brigade to Cuba and subsequently married at the I-Hotel, and children Desu, Daphne, Danae, Django, Giulio, Joachin, and Jordan-as well as one that expands to include literally hundreds of community activists and friends, all who feel a part of the Sorro family. This broader family-one that includes many who may never have even met him-continue to organize and fight to realize Bill's dream: a world in which people matter more than profit and property. And we collectively dedicate ourselves to fight for that future described in Bill's favorite song: Donny Hathaway's "Someday We'll All Be Free." Eric Quezada, Mission Anti-Displacement Coalition, and Executive Director, Dolores Street Community Services. Sunday 9/23 @ the Ctr for Political Education - join the SF Print Collective in celebrating the revolutionary art of Emory Douglas and others. The book takes readers from the creation of the white race over three centuries ago to the present-day myth of a colorblind society; from the intersections of class, gender and race to the concrete benefits-and harsh underside-of the privileges white people experience every day; from the victories when people ally across the color line to the failures of some of those alliances to hold; from personal transformations to international struggles. $5-$10 donation requested, no one turned away for lack of funds. 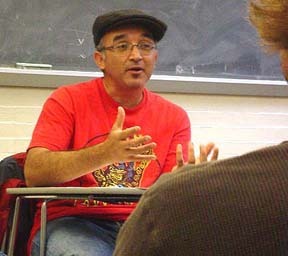 Co-sponsored by the Catalyst Project, the Center for Political Education and Freedom Road Socialist Organization/Organización Socialista del Camino para la Libertad. *Galería de la Raza is wheelchair accessible, unfortunately the bathroom at the gallery is not. 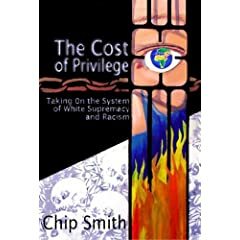 Chip Smith has given us a powerful weapon for the battle against white supremacy. It combines an in-depth look at the long history of this profoundly rooted plague with an enlightening, up-do-date review of the many efforts to end it. We have here much more than a brilliant analysis of past and present, the author dares to outline a bold program of revolutionary action that lays out both the challenges to be faced and how to confront them. Who could ask for more? This is a path-breaking study of the sometimes baffling dynamics of racial oppression in the United States. In fact, this is the most comprehensive and clear analysis of racism and national oppression that I've seen. It is recommended reading for any serious activist fighting for social justice in our time. Not just theory, but a guide to action! Located at the Center for Political Education, 522 Valencia Street at 16th St.
An exhibition of posters from the San Francisco Print Collective's Silkscreen Postermaking workshop. We will feature a talk, slideshow and Q&A with former minister of culture for the Black Panther Party Emory Douglas, signing his new book, Black Panther: The Revolutionary Art of Emory Douglas. This event will also raise funds to Free the San Francisco-8, former Black Panthers and community leaders arrested in January on 36-year old charges, based on confessions extracted by torture. As a primer for public artists, SFPC's Silkscreen Postermaking workshop teaches students how to use the mass media for activist organizing with a focus on guerrilla art, graphic design, and legal defense. Participating artists include: Fiona Glas, Allison Lum, Davis DeBard, Arla Ertz, Ellen Frances, Ly Mai Hoang, Serena Huang, Stacy Kono, Harris Kornstein, John Lewis, Fernando Marti, Gabe Martinez, Jennifer Miller, Nicole Rivera, Suzanne Shaffer, Melanie Ann Tom, Amy Vanderwarker, Debra Walker, and David Shih-chun Wu. $5-$100, sliding scale, no one turned away for lack of funds. Sangria, beer and non-alcoholic drinks and snacks! Sponsored by the Center for Political Education and the SF Print Collective. This space is not wheelchair accessible. 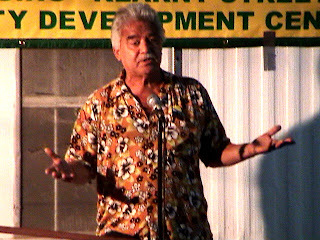 I dug up a couple of photos I took of the late Bill Sorro at the I-Hotel commemoration in August 2004, before the 2005 re-opening of the I-Hotel Senior Housing and Manilatown Center site in 2005. See my commentary this morning in BeyondChron.com. Bill’s family and friends are organizing a memorial sometime on the weekend of September 29th. Details will be announced shortly. Until then, please honor Bill by visiting the Manilatown Center exhibit entitled ‘A Serving of Love: The Passion of Bill Sorro,’ a gallery exhibition featuring the interviews, photographs and other historical material from his life - on display through October 6 at the Maniltaown Heritage Foundation, 868 Kearny Street, SF. Bill and his family are also featured in KQED's American Family Portraits: The Sorros. All of us together know more than any one of us alone. Join us for a dialogue on current issues facing the progressive movements and their allies in our region. 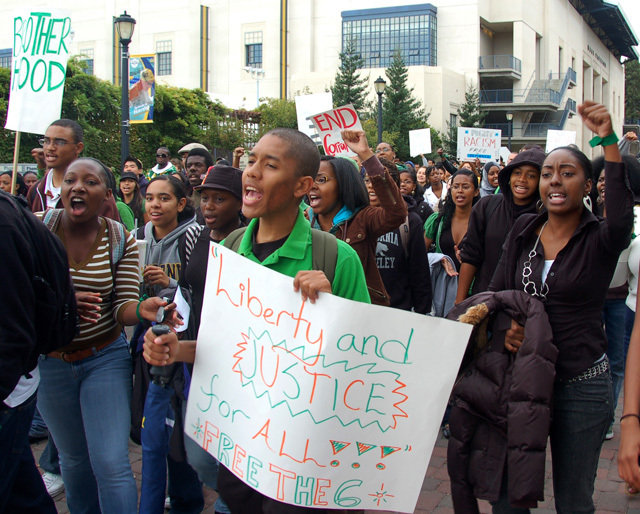 The Progressive Forum seeks to bring together scholars, students, social justice and union activists, and policy makers. The forum is created to nurture a new kind of conversation from within the campus and the social movements. We seek to move beyond the overly fragmented movements each competing with each other to find ways to cooperate and support each others work. This gathering aims to enhance personal and organizational ties between those engaged in ongoing workplace and community organizing efforts, issues organizing and students and scholars.. The forum should become a place where the diverse movements gathers their energies and where activists learn from internal dialogue. This is an initial step toward elaborating, discussing and debating our visions and ours strategies. Race/ ethnicity and the political organizing .